But the first thing kept in mind is that most such devices can not support DVD and some other video formats. 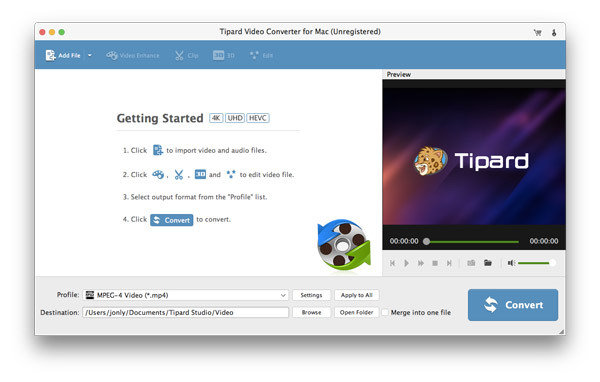 But it is not difficult, some third-party conversion software such as Mac DVD Ripper or Video Converter for Mac can solve this question easily. Step 1. 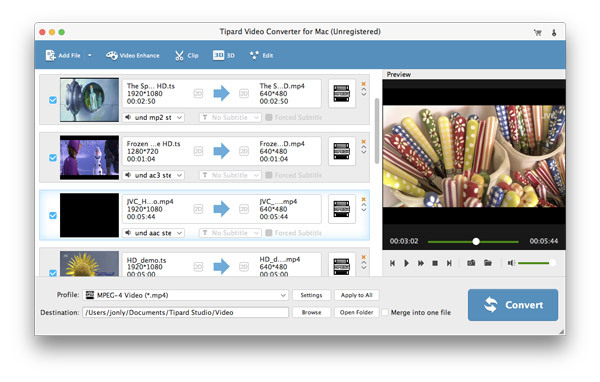 Install and run Tipard DVD Ripper Pack for Mac and select Tipard DVD Ripper for Mac. Step 2. Load your DVD. Step 3. Choose the output format and set the exact parameters. Click "Profile" drop down arrow to choose the output format you want. Click "Settings" to set the exact video and audio parameters to fit for your player. Step 4. Click "Start" button to begin the conversion. Click "Trim" button to open the trim window, you can set the exact begin and end time for your clips or just drag the slider bar. Click "Crop" to open the crop window to crop off the black edges around your video or adjust any video play region. You can also set the video play ratio when playing on player: keep original, full screen, 16:9, 4:3. Click "Effect" to adjust the video Brightness, Contrast, Saturation and Volume for you to get the perfect playing effect. Select the chapters that you want to join, and then pick "Merge into one file". After conversion, these chapters will be saved into one file. Click "Add File" to add your video files. Click "Profile" button from the drop-down list to select the output video format such as AVI, MPG, MPEG and WMV. 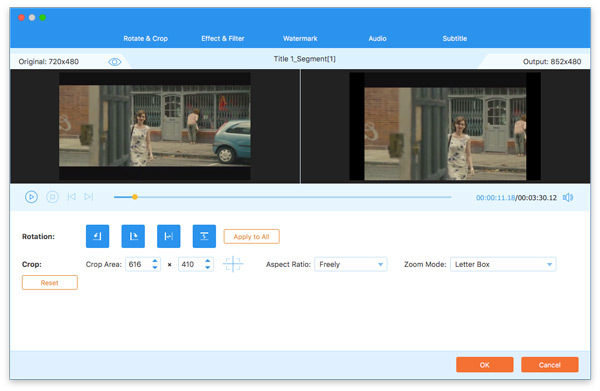 You can click the "Settings" button to set parameters of your output video such as Frame Rate, Bitrate to get the best video quality as you want. Step 4 : Click the "Start" button to start the conversion.